Remember when Chris Bost wore Converse? Well it wasn't that long ago, just a few years actually. 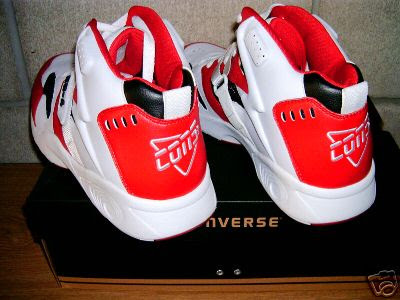 Anyway, right before he left he had some pretty sweet PE versions of the RNS 93. You can view them below...wouldn't these look great with the new black Raptors jerseys? That's all today, thanks for stopping by and checking out the Converse Blog. 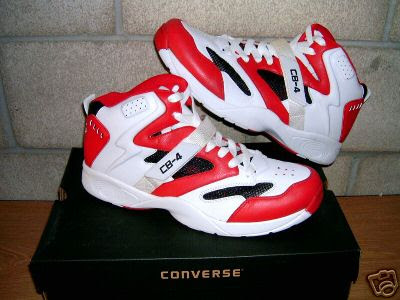 Converse should release some retros from CONS...just like Fila (Grant Hill) and And1 (Tai Chi Mid)....and of course NIKE-Air Jordan.